It is a great privilege for a young person to find a suitable mentor. I have been blessed to have received guidance throughout the years from my many extraordinary instructors. Simple instructions such as, �Keep your right shoulder down!�, can take years to master. Other teachings like, �Embarrassment is the seed of enlightenment�, seem to take a lifetime. To each of my teachers I owe debts that can never be repaid directly. It is through the passing on of their wisdom that I hope to balance the books. Each of these individuals has taught me something beyond skill, about the sombre elegance at the heart of the master, and about teaching time to bend in just the right way so that all is done and undone in perfection. Master Shouyu Liang is one of the most accomplished and progressive Chinese martial arts instructors in the world today. In Western China he is a true living legend. A consummate practitioner and educator, he is versed in both traditional and modern systems of internal and external martial arts and qigong and is a leading academic in the field with numerous high level publications to his credit. Master Liang is one of my three most important teachers. In 1989 I was to become his first accepted �Tudi� (formal disciple), thanks in part to the encouragement given by Master Yang Jwing Ming with whom I was already apprenticing formally. My first introduction to Master Liang was as a member of the 1985 Canadian National Wushu Team. Master Liang was team coach during the 1st World Wushu Invitationals in Xian, China. In the twenty years since then, he has taught me many things including Qigong, Taijiquan, Xingyiquan, Baguazhang, Shaolinquan and various traditional weapons. I have accompanied Master Liang on many trips through Canada and the USA and journeyed with him twice to China as a martial arts ambassador of sorts. On these trips I have seen first hand the admiration he receives everywhere he travels. Master Liang is one of the friendliest, most gregarious persons I have ever encountered anywhere, and his knowledge, skill and creativity constantly amaze and inspire me. It is an ongoing privilege to be associated with him. Dr. Yang Jwing Ming needs no introduction as he has single-handedly rewritten the terms by which Chinese martial arts are studied around the globe. The author of literally dozens of incredibly well researched texts on martial arts and qigong related subjects, Master Yang has taught tens of thousands of students around the world. Master Yang Jwing Ming stands out first and foremost in my mind as an unfathomably skilled practitioner and is another of my three most important teachers. I met Master Yang in 1986 and became a Tudi privately in 1988, then publicly in 1989. Master Yang had a knack for explaining skills in a way I could understand. Although I haven�t had near the time or learned near the amount of curriculum from him as from Master Liang or Brien, Master Yang has taught me much of the essence of what I know and teach. Between 1986 and 1994 I would attend any tournament or event that Master Yang would be appearing at so as to take instruction. Subjects I studied most intensely with him include Qigong and its theory, Qinna, Push Hands, Chan Si Jin and straightsword sparring. During this time I was involved in several publications which he directed with Master Liang including books and videos on the subjects of Xingyiquan and Baguazhang. Master Yang�s efficient and refined approach to application, his capacity to perceive underlying bonds between all aspects of the arts, and his laser ability to hone in on the core of a problem in order to find a perfect solution, are major factors in what has made me the teacher I am today. No matter how near or far I am from him, he continues to teach me at all levels. After having learned Boxing from a Catholic priest as a youth, Brien Gallagher began his formal martial arts training in the mid-1950�s, earning black belt ranks in Judo (4th dan), Kendo and Shotokan Karate. He was a competitor in both Judo and Kendo at a national level as well as provincially in Karate. 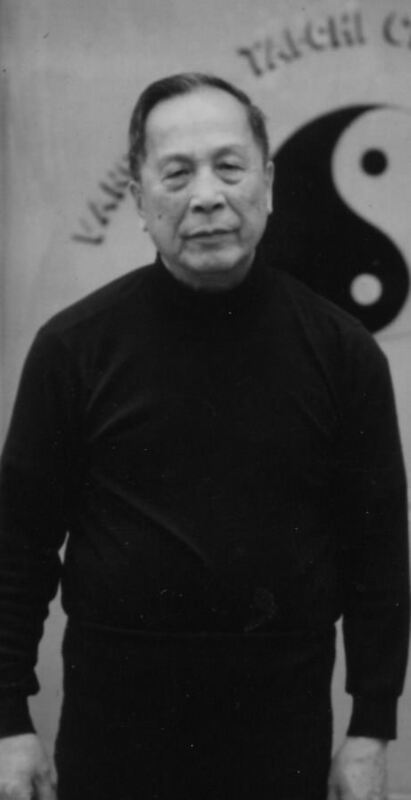 In 1965, as a form of physiotherapy, Brien began his Tai Chi training under the tutelage of Master Raymond Chung and is the only student to ever had received Master Chung�s full certification. Brien has now been a student of the art for over 40 years. I began my martial arts training with Brien in June of 1980, days after graduating from high school. My martial arts apprenticeship with this brilliant instructor would last seven years overlapping my early involvement with Masters Liang and Yang. I trained predominantly Yang Style Taijiquan and Judo, but Chen and Fu Taijiquan and other martial arts were involved as well. For most of those years the training was six days per week with Sundays devoted to private training for five to seven hours. A Push Hands genius and a keen martial analyst, Brien taught me how to break skills down in order to find the essence. He taught me the full curriculum of Yang Style Taijiquan which I have been striving to perfect ever since. Though virtually unknown in the national and international martial arts community, Brien Gallagher is one of the most skilled martial artists I have met to date, and one the most modest. 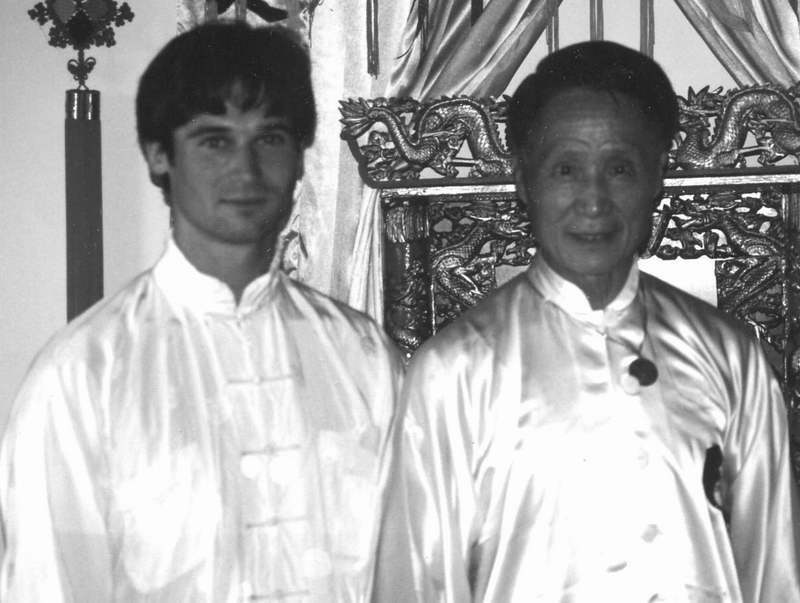 When Brien saw the possibility for me to study with Liang Shouyu, who he recognized immediately as a very high level teacher, he advised me to be patient and then proceeded to devote a year of his time preparing me for Master Liang. I can not imagine a more generous teacher and mentor. Master Jou, as he is known to thousands, was an accomplished practitioner, ground breaking author and an inspiration to countless Taijiquan enthusiasts. His three books, The Dao of Taijiquan, The Tao of Meditation and The Tao of the I Ching have been published in many languages and are read around the world. A brilliant mathematician, an eccentric millionaire and a Tai Chi fanatic, Jou Tsung Hwa made everyone feel like they were a member in an important community. I first met Master Jou in 1988 in Winchester VA. where I had won Grand Champion at the U.S. All Taijiquan Championships. We had an immediate rapport and began an ongoing dialogue that would continue until his tragic death ten years later. For several years during the annual Chang San-feng Festival at the Tai Chi Farm, (a 108 acre rural facility Jou had purchased for the promotion and study of Taijiquan), Master Jou had me lead the traditional Daoist ceremony welcoming the spirit of Chang San-feng. Master Jou was the only person I have experienced that could bounce my head off a door sill using �uprooting skill�. Master Jou believed intensely in traditional elements of the art such as cultivation of qi, strengthening of the dantian and the pursuit of spiritual enlightenment through practice of Taijiquan. Conversely, he had little use for definitions of tradition which seemed slavish in their devotion to form. Something of a genteel rogue, he valued exploration above all else in life and made no qualms about sharing his experiences and opinions even with celebrated masters. Jou Tsung Hwa�s example of confidence, curiosity and conviction has had great influence on how I define and create my own unique path in the art. I met Yang Zhenduo in 1990 in Winchester VA. on his first visit to North America, and had the great opportunity to study with, and interview him. Assisted by Yang Jun, Master Yang gave instruction to about one hundred students on the subjects of Yang Style Taiji barehand, sabre and sword routines. In 1993 he came to Maryland to offer another intensive which I also attended. It was during this second workshop, that I was selected as a Push Hands demonstration partner for Master Yang, and I felt the articulate clarity in his �Si Zheng� Push Hands, a quality I�ve rarely felt with other teachers or practitioners. In 1994, after touring China as a member of the North American Martial Arts Demo Team, I went to Taiyuan, the Yangs� hometown, to take private instruction and was invited to be a special guest at a seven day course taught by Yang Zhenduo for instructors native to Shanxi Province. Yang Zhenduo is a true spokesman of his family�s art and possesses a distinguished and statesmanlike quality which belies his place in Taijiquan history. His movement, his force, his speech and manner are each articulate and clear, and he seems driven with the same sense of purpose which motivated his father, grandfather and great-grandfather. Well trained from youth by his grandfather, Yang Jun�s Taijiquan is some of the clearest and most articulate seen anywhere in the world today. From the Yangs� example I have striven to examine my own forms in great detail in order to achieve clarity and understanding in movement. 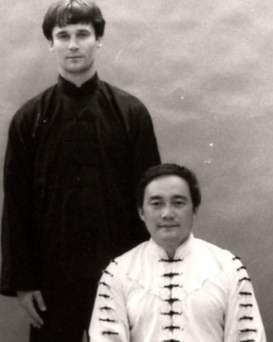 In early 1985 I had the privilege to study privately with Brien Gallagher�s Sifu, Grandmaster Raymond Chung (b. 1913) who emigrated to Canada in 1961. The circumstances for this training were my selection to the Canadian National Wushu team and the possibility that I might represent Master Chung�s system in a Push Hands tournament being proposed by members of the local Chinese martial arts community. 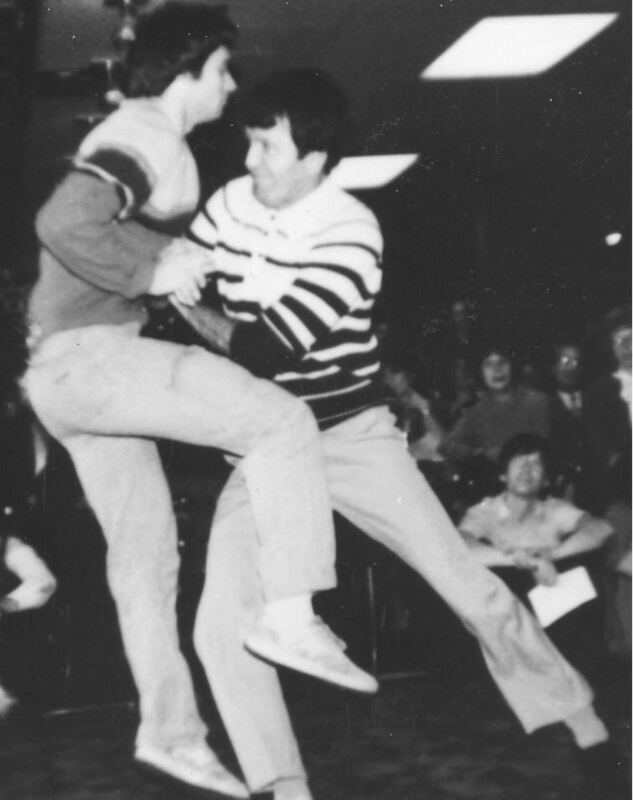 During a three week period in 1985, Master Chung corrected my practice of the entire syllabus of Yang Style Taijiquan and gave me several critical Push Hands lessons. This was my only study with Master Chung but it was deeply influential. Possessed of an unusually soft, yet powerful touch, Master Chung�s Push Hands rivals anything I have felt in my studies to date. A contemporary of Yang Saochong (Yang Sau-chung, the eldest son of Yang Chengfu) during military academy days, Raymond Chung began his Taijiquan training in 1935 and is one of few practitioners to have brought the complete curriculum of Yang Style Taijiquan to North America. He is also an expert in Wu and Sun Styles of Taijiquan as well as Baguazhang and Xingyiquan. Now over 90 years of age Master Chung continues his Tai Chi practice. Chen Xiaowang is the 19th generation descendant of Chen Wangting, the creator of the Chen family boxing art we now call Taijiquan. Currently living in Australia, Chen Xiaowang is perhaps the greatest force in the promotion of Chen Style Taijiquan today. In 1984 Chen Xiaowang and Feng Zhiqiang�s released a book on Chen style Taijiquan and I would pour over the pictures for hours searching for information on the art. 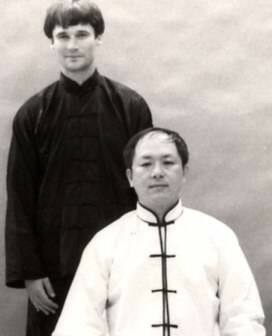 A year later in 1985 I met Master Chen in Xian at the 1st World Wushu Invitationals. He and Master Liang were old friends from competition years and Master Liang introduced us. I was astounded by Chen Xiaowang�s performance in the master�s demonstration and vowed to one day learn from him. In 1988 he came to Winchester VA. as the special guest at A Taste of China. 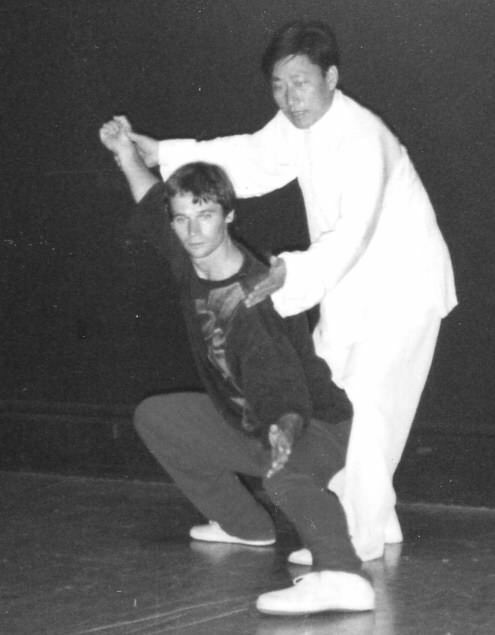 This was his first visit to North America and he taught the Laojia (old frame) Chen form. As I was Chen style Taijiquan champion in the tournament that year, Master Chen used me for most of the form, Push Hands and applications demonstrations. These were great lessons in power as Chen Xiaowang could rip an arm out of a socket with little effort. Later in the summer I went to San Francisco to study again with him, and again he used me as his demo assistant. Although my interest in Chen Style Taijiquan has never been as great as my interest in Yang, I drew valuable lessons from my encounters with Chen Xiaowang. 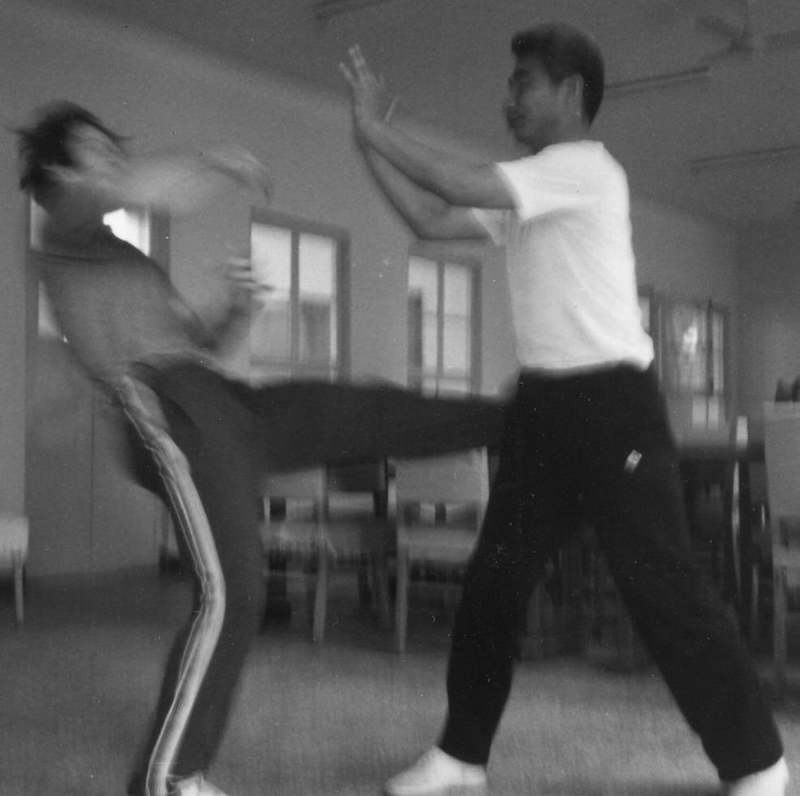 He gave me a different perspective on the art than I�d received form Brien and Master Liang and helped me to better understand the unique way in which power is used in Chen style Taijiquan. Called the �Living Encyclopaedia�, Men Huifeng has been selected as one of the top ten Wushu coaches in all China. Creator of the Beijing Combined (48 Movement) Form, the Sun Style National Competition routine, the Taijiqiang (Spear) Competition routine and many others, Men Huifeng is one of the most influential masters in China today. 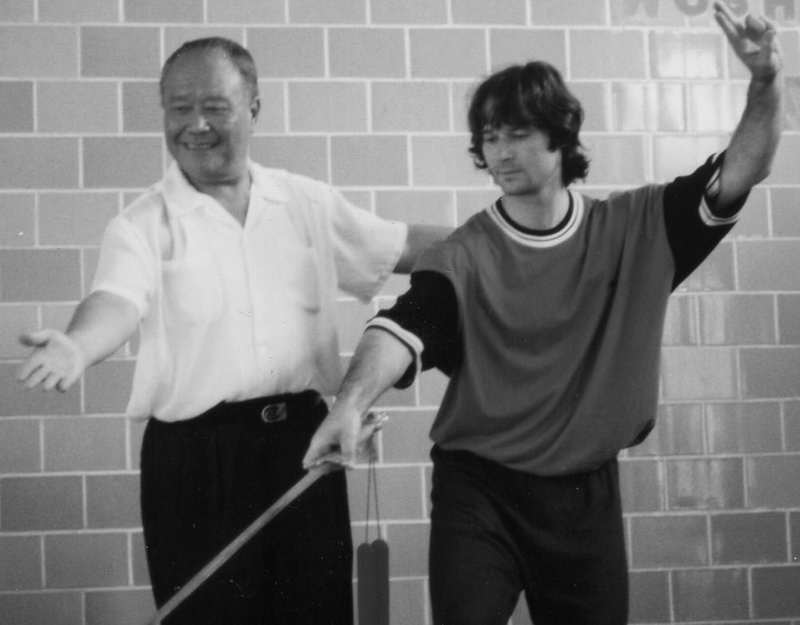 While he has had thousands of students I have yet to hear of anyone else having the kind of lessons I received with him in 1985 at the Beijing Physical Culture Institute. For a two week period Master Men schooled me privately for two hours daily on the subject of Push Hands. This was incredibly rare at the time as the government had instituted a moratorium on teaching any contact martial arts to foreigners. Through a series of circumstances he was willing to teach me skills normally shared only with advanced students. When we completed our amazing training together he requested I go back to North America and teach Push Hands and promote the art of Taijiquan. There are methods he showed me that I have continued to research and develop for two decades. Fu Zhongwen, Wang Peisheng, Feng Zhiqiang, William C.C. Chen, Benjamin Lo, Abraham Liu, Daniel Lee, Mdme. Fu Shuyin, Weilun Huang, Mdme. Wang Jurong, Mdme. He Weiqi. There is no other non-native Chinese martial arts practitioner alive today to compare with Nick Gracenin. His technical knowledge and understanding of the history, theory and essence of Wushu is unmatched. Probably more than any of my contemporaries Nick has helped me to appreciate the great fortune I have experienced in being associated with my teachers. Jeff Bolt is my martial arts brother under Dr. Yang Jwing Ming. Jeff organized the first all-Chinese style martial arts events in the U.S.A. and is recognized as the father of modern Wushu competitions in North America. What he is less recognized for is his tremendous martial arts ability. He is relaxed, fast, focused and has amazing footwork. Jeff has shown me things in a few moments that I�ve spent years researching. Like Jeff Bolt, Pat Rice was one of the pioneers in the creation of tournaments specifically for Chinese martial artists. In 1988 Pat Rice and Steve Rhodes extended their annual �A Taste of China� seminars into a competition event called the �U.S. All Taijiquan Championships�. Aside from giving Tai Chi players the chance to challenge themselves on the floor, the event brought together an all star cast of North American Chinese Taijiquan masters as well as major instructors from China. The way Pat has brought together practitioners of all types has been a true influence on my training as I have opened myself to many, many valuable influences. Andrea Falk was the first Canadian Taijiquan practitioner of my generation I�d seen that really impressed me. The only non-Asian gold medallist in the Wuhan International Taijiquan Exchange in 1984, I�d seen her name in magazines and in the film covering the event. We began running into each other at North American events in the mid-80�s and she began organizing Push Hands workshops for me at her school in Montreal. Andrea introduced me to several important concepts in Baguazhang and Xingyiquan. She continues to be a dedicated Neijiaquan practitioner, translator and educator. Susanna and Jay are both senior disciples of the late Jou Tsung Hwa. Together they helped me to understand critical concepts in both the technical and spiritual aspects of Master Jou�s unique approach to Taijiquan and opened the door to a lifetime study of the Yijing. I consider them both to be my teachers. Sidney was also a senior disciple of Master Jou. �Mr. Austin� as he was referred to by his many appreciative students, came up from the tough Brooklyn streets in Malcolm X�s neighbourhood, and in his lifetime contributed a tremendous amount to his community. 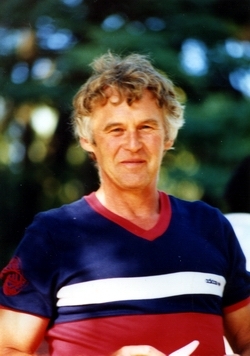 He supported my teaching for many years in New Jersey before succumbing to a brain tumour in 1993. Sidney�s savvy approach to Tai Chi and life in general gave me a different and valuable perspective on the world which has aided me many times in my journeys. Gabby Herloff lives and teaches in K�ln, DE. We met in 1985 in the Beijing Physical Culture Institute while I was studying Push Hands with Men Huifeng. Gabby was also studying Taijiquan there and wanted to learn more about Push Hands. In the summer 1986 she came to Vancouver to study with me for and during that time taught me the Beijing 48 Combined Form that she had learned from Men Huifeng the previous year. Dean Fogal and I shared studio space in Vancouver together from 1985-1992. He taught physical theatre with a strong emphasis on the Corporeal Mime technique of Etienne Decroux with whom Dean had studied in Paris during the 1970�s. Although Dean Fogal never practiced martial arts, his method for teaching Decroux�s system of �articulation�, and his own unique vision of the moving body, were major factors in how I came to develop my teaching style and much of my �Core Principles� curriculum. My father has always been an incredibly hard worker and a generally tough guy. I started working with him on construction sites at age 11 and learned early the meaning of �Gongli�, training strength. He is a coach as well as a carpenter and has given literally thousands of community hours to the Track and Field athletes in our town. My brothers and sister and I were all in the club and he taught us how to train for sports, how to weight-lift and how to enjoy hard work. My dad never taught me martial arts as such, but as far back as I can remember, we�d wrestle. Often before bedtime we four kids would romp and wrestle with Dad in the living room until either someone was crying or my Mom had had enough and shut it all down. Lamps were broken, breath was lost and knees were carpet-burned but we had a lot of fun in those little 15 minute Battle-Royales. I�m sure that part of the reason I took so well to Judo and Push Hands was the comfort I felt with getting in close and mixing things up, something I learned from my first teacher.